The Iowa Utilities Board has provided MidAmerican Energy with the approval it needs to build a large-scale wind energy system. The utility recently announced plans to build a $3.6 billion wind energy system, which is expected to become the state’s largest wind farm. MidAmerican Energy has been seeking approval to build this wind farm and has now passed the final hurdle, allowing the utility to begin construction of its Wind XI farm. MidAmerican Energy has plans to meet the entirety of its customer’s energy demand through the use of clean power. Wind energy has become one of the utility’s favored forms of with clean power. The new Wind XI farm will be comprised of 1,000 wind turbines and the project is expected to complete construction in 2019. 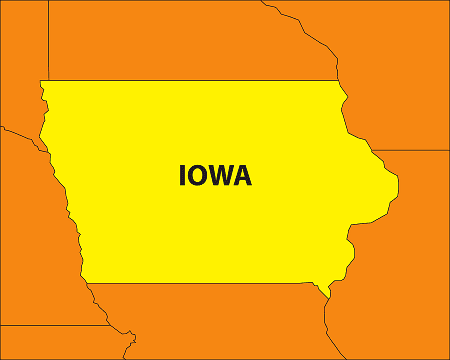 The wind farm will add 2,000 megawatts of wind energy capacity to Iowa. The Wind XI farm is also the largest energy project that MidAmerican Energy has ever developed. The exact location of the project has not yet been determined. The wind farm itself will span several different locations, with each location being brought online from 2017 to 2029. While the wind farm is an expensive endeavor, MidAmerican Energy intends to recover from these costs through the federal Production Tax Credit. This federal initiative is designed to support the adoption of wind energy and the development of wind projects throughout the country. Over the next 10 years, the utility hopes that the tax credits it receives from the federal government will be enough to displace the cost associated with developing its wind energy project. Iowa is quickly becoming a very attractive wind energy market. State and federal government policies have encouraged companies to develop wind projects, which is quickly increasing the state’s renewable energy capacity. Earlier this year, Alliant Energy announced plans to build a 500 megawatt wind project. Both Alliant Energy and MidAmerican Energy have ambitious plans for the state’s wind energy capacity, which is set to thrive in the coming years. What about storage? Is there any energy storage planed, P2G or CAES or will excess be curtailed?